This investigation aims at grasping actual conditions of discrimination against international students in Japan. Based on this investigation, we will take some adequate and effective measures for eliminating discrimination in order for every international students to be guaranteed the full and equal enjoyment of human rights and fundamental freedoms. To achieve the goal, we will also demand for the organization in charge, such as university, to take necessary measures. Your personal information won’t be used except for research purposes, and your name won't be identified. Security will be observed according to Japan’s Act of Personal Information Protection. We are appreciate for your understanding and cooperation for taking part of this investigation. Firstly, please tell us about yourself. ２．Where is the region that you came from? ３．What country are you from? ４．How long have you been in Japan? ５．What college / university do you attend? ６．What is your faculty / school / institute? Next, please tell us about the discrimination that you experienced. “Discrimination” here mainly refers to the “racial discrimination” which is defined in the UN’s International Convention on the Elimination of All Forms of Racial Discrimination, meaning “any distinction, exclusion, restriction or preference based on race, colour, descent, or national or ethnic origin which has the purpose or effect of nullifying or impairing the recognition, enjoyment or exercise, on an equal footing, of human rights and fundamental freedoms in the political, economic, social, cultural or any other field of public life” . For example, the following behaviors are discrimination: not to rent a house because of your nationality, not to employ you because you are from a specific country, or to give you a hate speech*1 such as “a person from a country X is anti-Japanese” or “Kill people from a country Y”. *1 Hate speech refers to not only speech or expression but also or behaviors or gestures that is made for the purpose of inciting racial discrimination. *2 The Article 2 of the UN’s International Convention on the Elimination of All Forms of Racial Discrimination stipulates that States Parties shall eliminate racial discrimination. They are obliged to take special and concrete measures to ensure the adequate development protection of certain racial groups or individuals belonging to them. Please tell us about the discrimination that you experienced. ７．Have you ever experienced racial discrimination in Japan? ９．Please tell us in detail about the discrimination you experienced. １０．Did you ask someone for a help, when you experienced (or witnessed) discrimination? １１．For those who answered“Yes” for Q10. Who did you ask for a help? １２．Please write about any difficulties that you felt when you ask for an advice. That’s all. Thank you again for your cooperation. 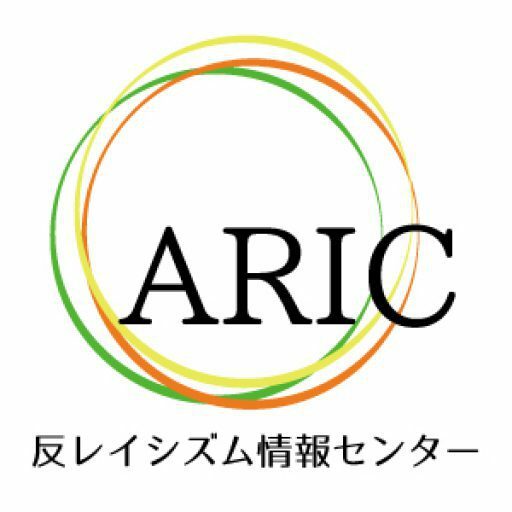 Anti-Racism Information Center (ARIC) has launched a consultation service on discrimination against international students. (Please see this page for more detailed information about us: https://antiracism-info.com/soudan/consultation4foreignstudent) If you would like to consult us about your problem to find a solution to your problem, please tell us your email address. We will support you until the issue is settled. If you would like to ask us a question about ARIC, this investigation or something related to us, please send us an email (our email address is arictokyo@gmail.com).